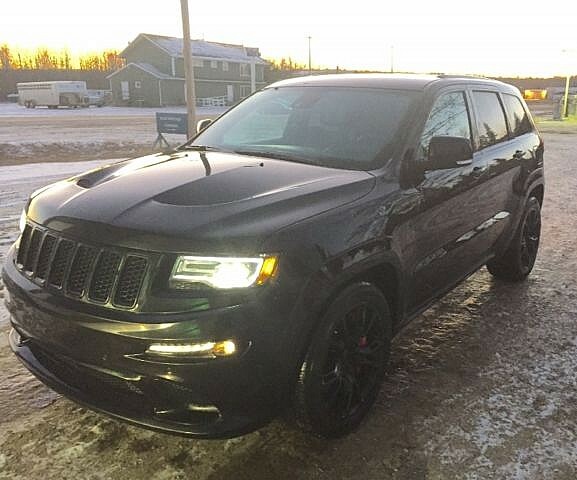 2014 Jeep Grand Cherokee SRT SUV. 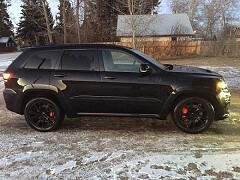 6.4L Hemi. 470 HP. 465 LB-FT Torque. Full time 4WD. 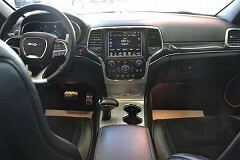 8 speed automatic with steering wheel mounted paddle shifters. 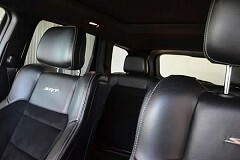 Premium leather/suede heated/ventilated seats. Heated steering wheel. 8.4 inch touchscreen radio. Navigation. Satellite radio. Bluetooth streaming audio. Remote start. Power liftgate. 20 inch Black Spider Monkey Wheels.Extra set of 20‘ Chrome SRT rims. Trailer tow package with Class IV receiver hitch. 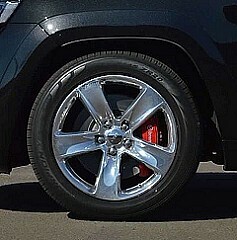 Brembo Brakes. 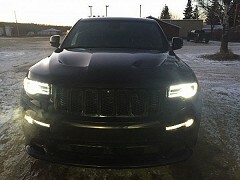 Automatic headlamps. Automatic headlamp leveling system. Rain sensing wipers. 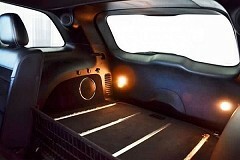 19 speaker high performance audio with subwoofer. 825 Watt amplifier. Power seats. Memory seats. Keyless N Go. Proximity entry. Push button start. Keyless entry. CD Player. Blind spot/cross path detection. Adaptive cruise control. Forward collision monitoring. Front and rear park assist sensors. Parkview back up camera. Advanced brake assist. Headlamp washers. Steering wheel mounted audio controls. Satellite radio. Hands free phone. Power heated mirrors. 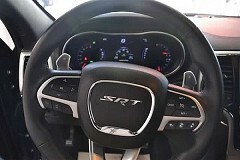 TFT Cluster, SRT Performance Package. Power windows. Power locks. HID Headlamps with LED surrounds. Premium fog lamps. 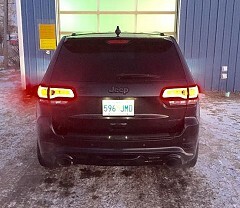 LED tail lights. Performance tuned suspension. Bright Pedals. Active noise control system. Remote SD Card slot. Power tilt/telescoping steering column. Universal garage door opener. Electronic stability control. Quadra-Trac active on demand 4WD. Automatic dual zone temperature control. Please call 306- 837-7336 to view.